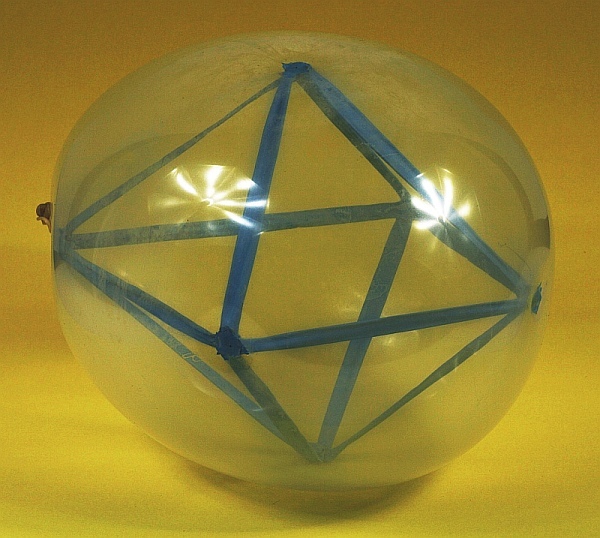 You may know how to make a ship in a bottle, but how would you make this octahedron in a balloon? 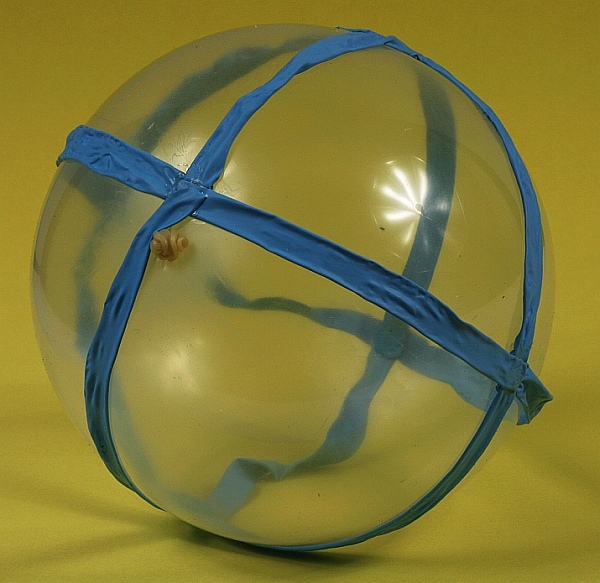 The twelve edges of the octahedron are made of strips of blue balloon rubber, glued to the inside of the clear balloon at the six vertices. Think of how you might make this before reading my solution below. I did it by first making a spherical octahedron on the outside of the balloon. It is glued with rubber cement at the six cardinal points: top, bottom, left, right, front, back. Then I untied the slip knot to let the air out of the balloon, carefully turned it inside out, and reinflated it. If you master this technique, the next step is to try to make a nice cube. And be sure to send me a photo if you can make the compound of five tetrahedra in five different colors. This article first appeared on Make: Online, November 21, 2011.